Expand: When it’s time to grow, we get you growing. As you’re ready to take your business to the next level, Spearfish is well positioned to help you grow. Our business and industry park has shovel-ready parcels ranging from 1 to 16 acres. Our newly renovated Atlas Business Innovation Center has 30,000 flexible square feet ready to accommodate one or several business ventures. 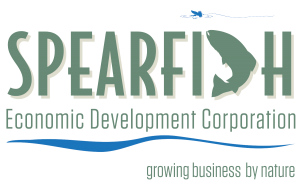 If there’s one thing that gets us up in the morning at Spearfish Economic Development Corporation, it’s knowing that we can help businesses grow. It’s what we live for. If that means more space, more people, additional property or a new location we are ready to help you with your plans. Talks to us. We have the experience to provide you the answers to help your company prosper and flourish. That includes permitting, planning or help in finding hidden resources to provide you with the perfect solution to get you on the right course.